No data is lost forever! Developed with home users in mind, the program features a simple interface combined with mighty algorithms that allow data recovery of files that are physically present on the data carrier. Formatted hard drives and damaged file systems are supported, maximum data is recovered and even if the information about data location is no longer accessible, you can still get it back. There’s a preview that shows the files and their contents prior to the recovery process and indicates the possibility of successful recovery. The very best of our software for only USD 99. 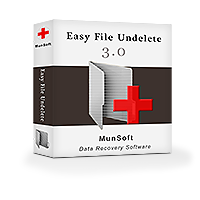 Get a complete package of MunSoft Data Recovery Suite programs and save 70%. Full protection is not always expensive.